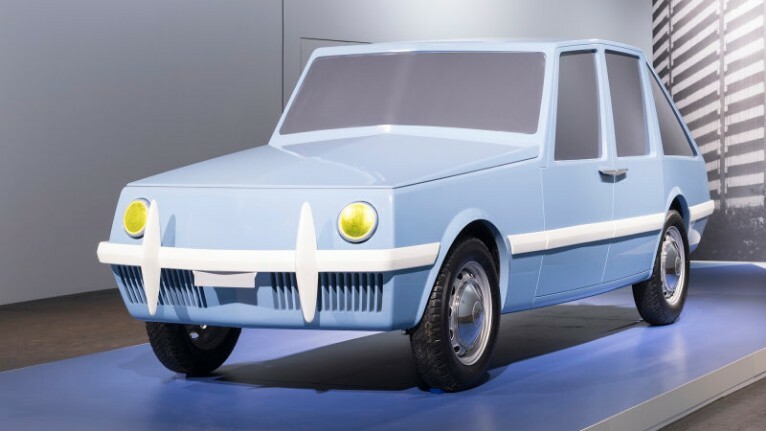 This years’ Grand Basel show for automotive masterpieces (from Sept. 6-9, 2018, Basel, Switzerland) has unveiled the car designed in 1953 by legendary italian architect and industrial designer Gio Ponti. After 65 years, Gio Ponti’s visionary Linea Diamante takes shape on the 90th anniversary of Domus magazine, founded in 1928 by Ponti. 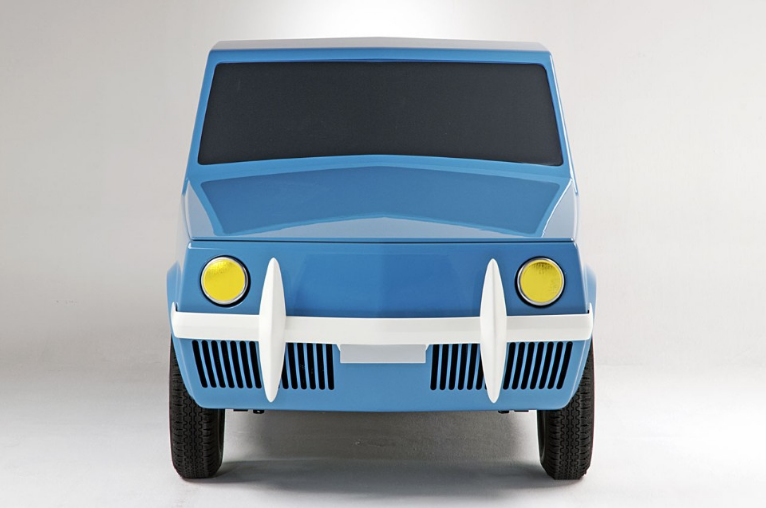 Linea Diamante’s design was originally conceptualized by Gio Ponti and Alberto Rosselli, according to design principles still unknown in the automotive industry of the time. 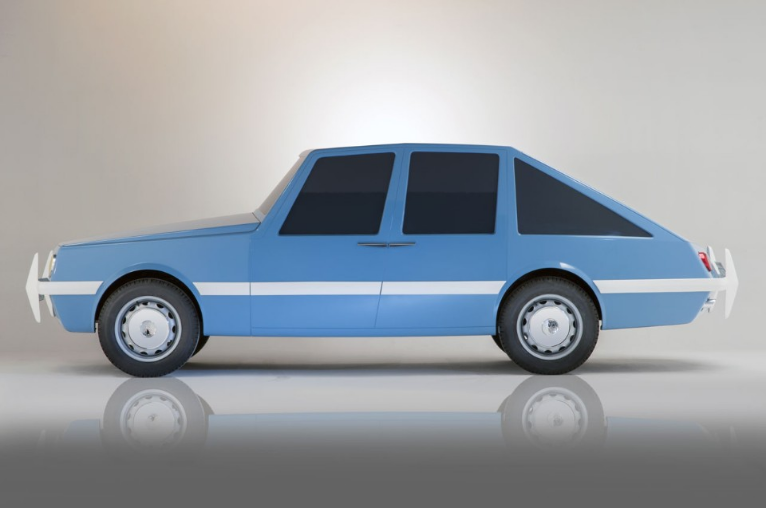 Two decades later, many cars would have caught up with the principles embodied in Ponti’s automobile, such as the Renault 16 of the mid 1960s or the first-generation VW Passat seen in 1972. Ponti’s car displayed in Switzerland with his Superleggera chair. In a nod to its original collaboration with Ponti in 1953, Pirelli supplied period tyres of the correct specification for the model chassis and year. 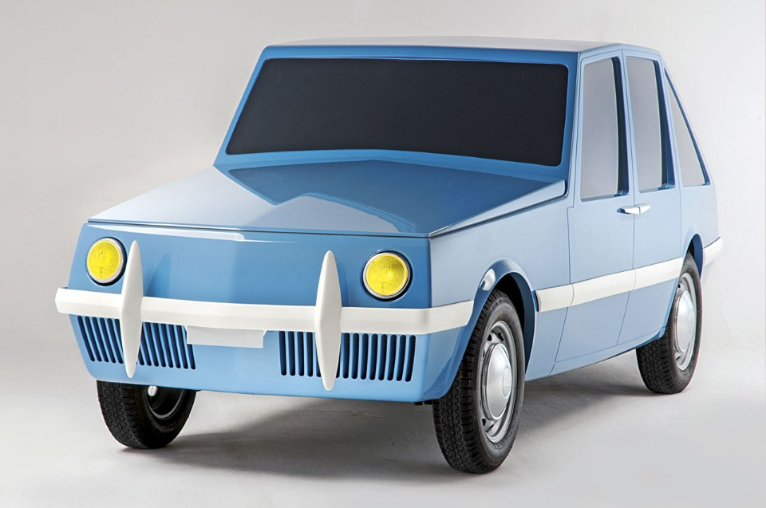 Originally conceived to be bodied on the chassis of an Alfa Romeo 1900 saloon car, Ponti first sought a partnership with Milan based Carrozzeria Touring and then turned to Fiat for production of a subcompact model, but the design was rebuffed. 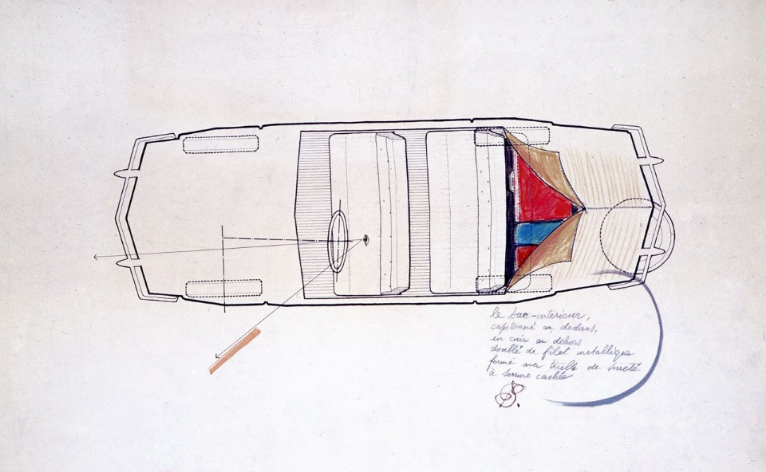 More than 60 years later, Centro Stile FCA, Grand Basel, Editoriale Domus and Pirelli worked together to bring the design to life in the form of a three-dimensional 1:1 scale model, spearheaded by Head of FCA Heritage Roberto Giolito, upon specifications outlined on Ponti’s original drawings. 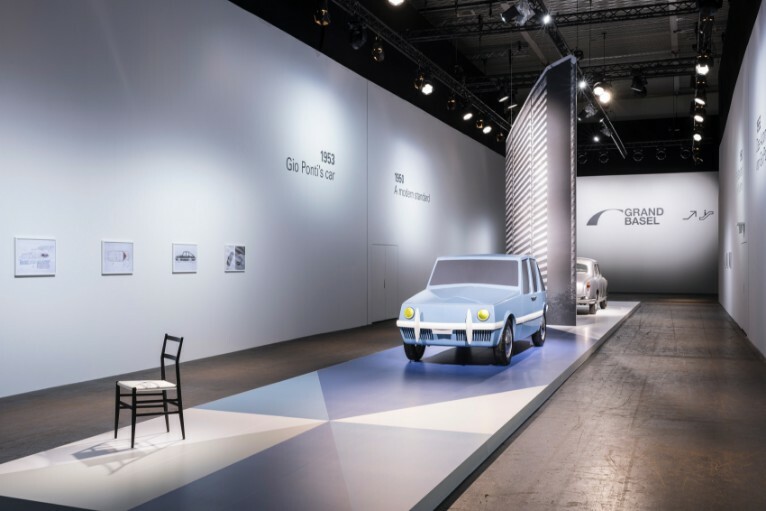 The car was selected to be showcased at Grand Basel because organizers realized that features of Ponti’s design "would prove fundamental to future cars." 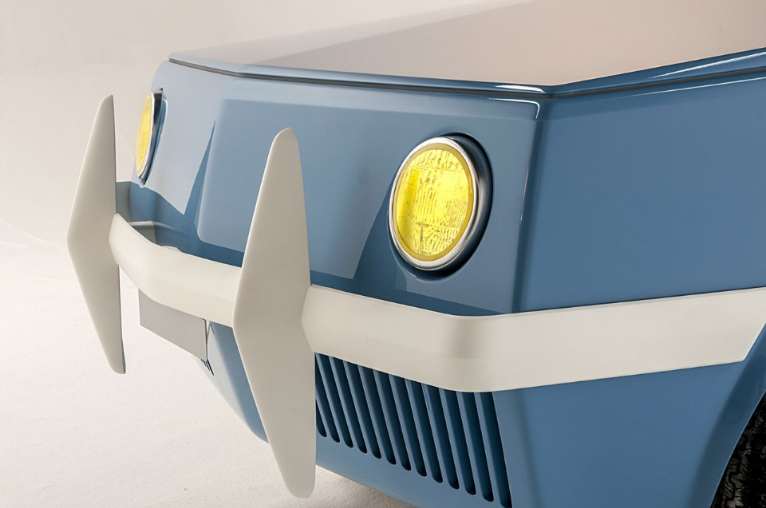 "We are incredibly excited to show Ponti’s ‘Linea Diamante’ car as a full-size model for the first time at Grand Basel. This is exactly the type of exhibit that we have promised to offer our visitors – something unexpected, which they have never seen before," said Mark Backé, Global Director of Grand Basel. Gio Ponti (1891-1979) created numerous icons, such as the 32-storey Pirelli Tower in Milan – regarded by many as one of the most elegant skyscrapers in the world – and the famous ‘Superleggera’ chair, which embodied lightness in both aesthetic and physical terms. In 1928, he co-founded the influential architecture and design magazine, Domus, which celebrates its 90th anniversary in 2018 and supports Grand Basel as a cultural partner. Cover Photo: Ponti’s car displayed in Switzerland.